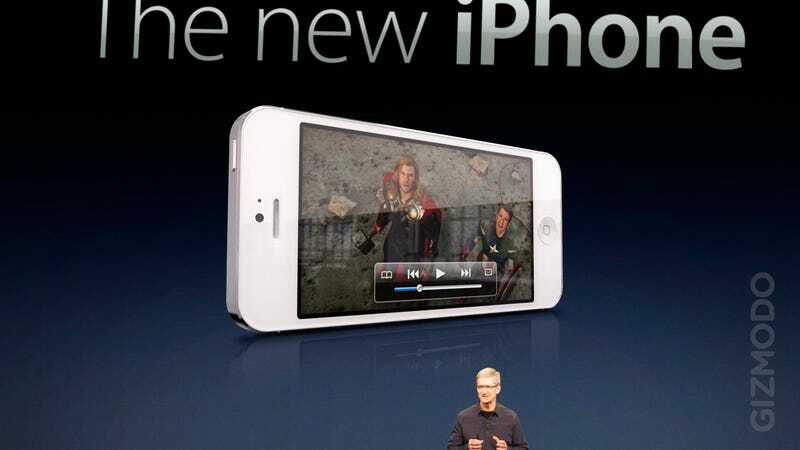 Apart from that phone lost in a bar, the iPhone 5 is the most leaked phone in Apple's history. We basically know—with 99% certainty—what it will look like when it gets announced tomorrow, both in white and black versions. So why wait to get pictures of Tim Cook doing his show-and-tell? Everything is so predictable anyway. The same Keynote slides. The same comments about how magical and revolutionary it is. Perhaps a mention on how the competition can't catch up—because they are suing the crap out of them, after all. And then the "oh ah" comments from the usual fanboys. Same old, same old. Thankfully, Gizmodo reader Martin Hajek can save us from all that. He sent these two pictures from the future. And since we are at it, here's also capture of Apple's Apple home page too, also taken in the future. And here's the review too. Or something. Whatever, man. Tomorrow is going to be like a rerun, man. It's going to be so heavy.